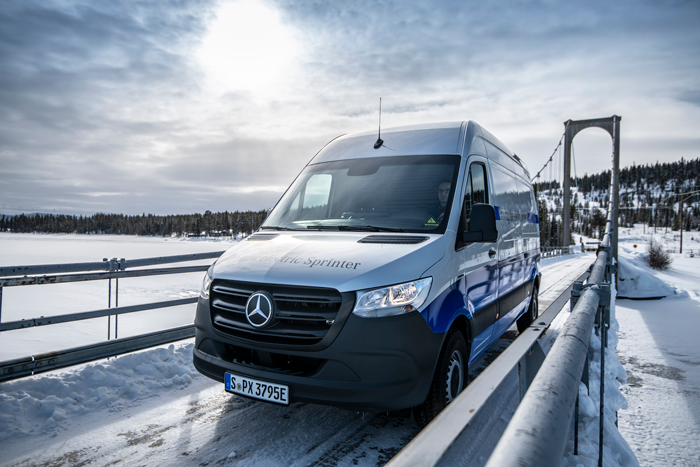 Mercedes-Benz has been performing winter testing on its eSprinter in Arjeplog, Sweden. The winter endurance tests on the van focused on reliability in extreme conditions. 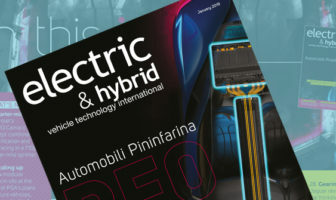 For several weeks, the development team subjected the fully-electric van to temperatures as low as -30°C, with icy roads and deep snow. The vehicles were put through numerous complex tests at the site, including driving on a frozen lake to examine the effects of extreme cold on handling, ergonomics and comfort using special measuring technology. The starting behavior and low-temperature resistance of the drive components, software and interfaces were tested in cold cell facilities. How the vehicles respond to different weather conditions is critical to the electric van’s expected duty cycle – specified with a range of approximately 1,501km (932 miles) when configured with a battery capacity of 55 kWh, the eSprinter is designed for inner-city short-radius distribution. The Arjeplog tests have demonstrated that, even in unfavorable conditions, a range of around 1,001km (622 miles) is still available. Even at temperatures below freezing, the eSprinter’s customer base requires immediate use of ancillary systems – for example, it must be possible to free the windows from ice as quickly as possible and heat the driver cabin reliably. To this end, the temperature of the test vehicles and their batteries was lowered to extremes in special cold cells to test the starting behavior and thermal management during cold starts. 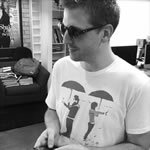 Charging behavior was also tested. The eSprinter is equipped with an integrated fast-charging function with which it can recharge around 80% of its energy in 30 minutes – ideal for the van’s expected daily duty cycle. “Yet again we asked a lot of our eSprinter during the final winter endurance tests,” said Benjamin Kaehler, head of eDrive, Vans, at Daimler. 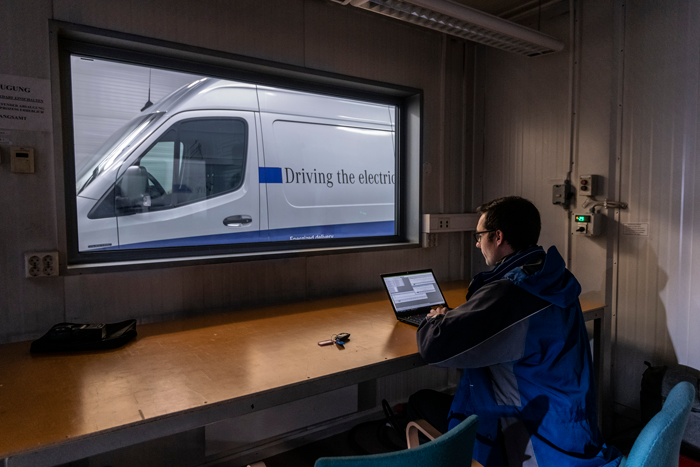 “Thanks to our comprehensive tests, we were able to squeeze out the last couple of percentage points from our second fully electric van after the eVito on its way to complete market readiness.